So what do the sheet grid marks really mean? 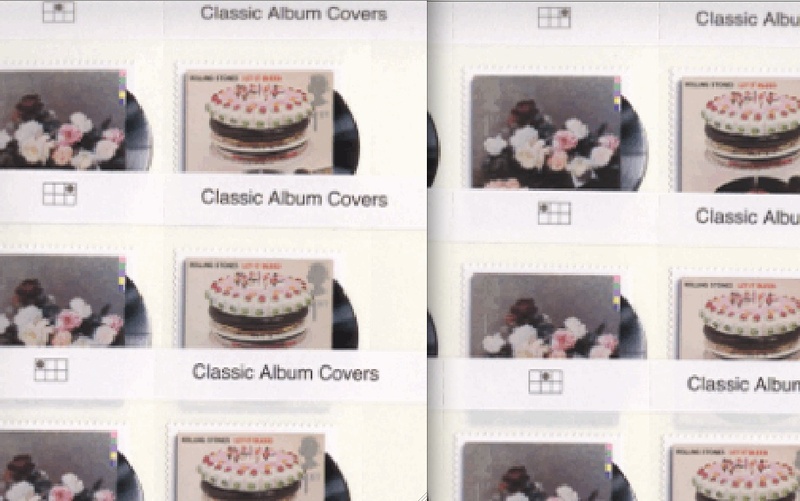 Although many collectors may not know it, special stamps are still available from 'guttered' sheets. That is, printed sheets have (at least) two panes which are divided along the gutter for distribution to counters. In recent years Royal Mail has copied the US practice of having a grid in the margin, divided into 4 or 6 squares, one of which has a dot in it, indicating the position of the pane in the overall sheet. Now, if the panes are printed in three positions horizontally, one would expect that one pane (say position 1) would be guillotined off for counter sheets, leaving the other two for philatelic distribution. As the print run would produce more double-panes than would be necessary for philatelic distribution, a large number of the pairs of panes 2+pane 3 would also be guillotined for distribution to post offices. Pane 3 + pane 1 (centre). Is the cylinder circumference in fact 6 panes round, with positions 1, 2 & 3 duplicated? Does the grid mean anything at all? Should we revisit previous grid markings - including for definitive and country stamps - to review what they mean? Please leave your suggestions as comments! There are three panes to a cylinder with a gutter between each, but they are cut into sheets of 2 panes - 1+2, 3+1, 2+3, 1+2 ... etc.